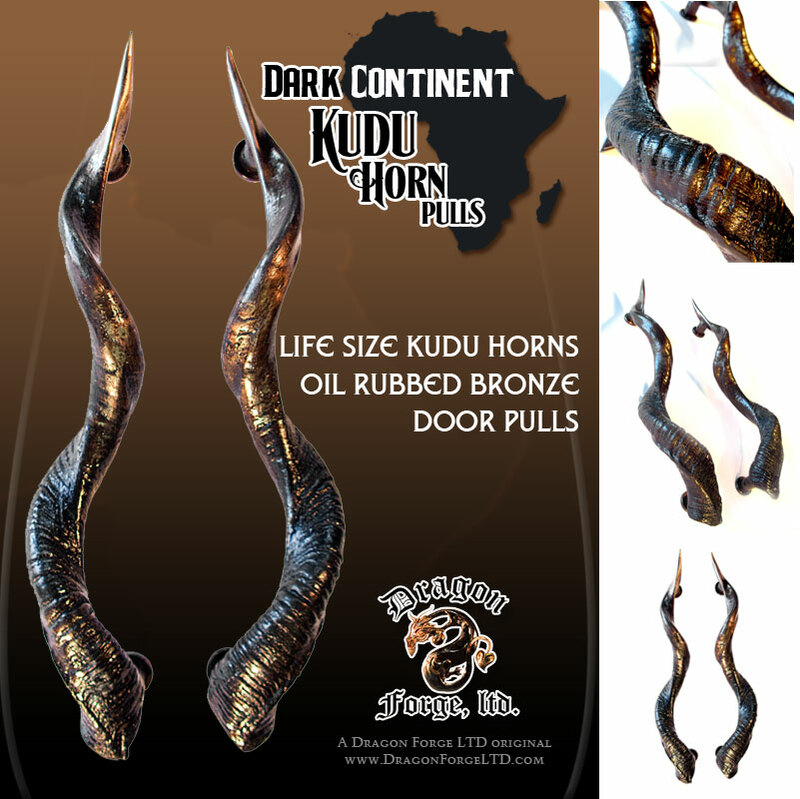 We are excited to introduce these oil rubbed, bronze, life size Kudu horn pulls! These can be ordered individually or in pairs for these door handles. Email Craig for more information, questions or to order.